what is luxurious to me may be frivolity to others, but i know what i like. 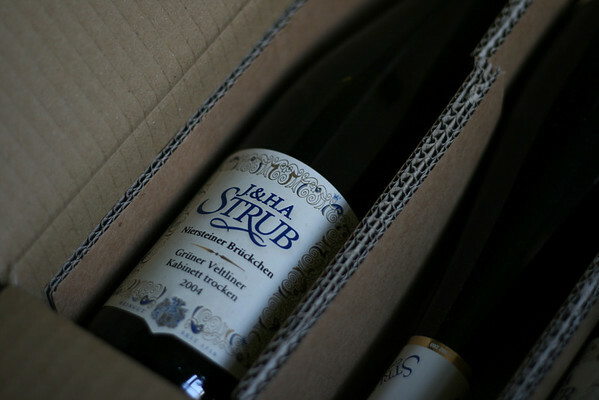 when i was in nyc for the win get-together in 2005 i shared a bottle of Strub wine at a korean restaurant with my co-bloggers. little did i know that i would eventually end up living in the country where the wine was from and be able to order a half case of it for the same price as the whole bottle in new york. this is the second time i’ve ordered Strub and have to say that despite the fact that they use screw tops, the wine is excellent. the box of bottles is sitting in the hallway along with the bajillion other bags and boxes of stuff that will need to eventually be unpacked in our new place. yes we are officially moved in! 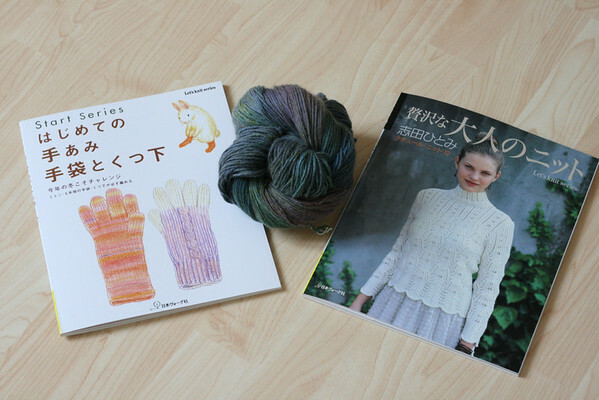 the other luxurious items to arrive during the move were these two japanese knitting books and some posh yarn 4ply 100 percent cashmere for socks for myself. i have joined a kal for the “let’s knit” japanese series. i am firstly going to swatch for sweater number 7 in let’s knit 12. the other book is a beginner book for knitting gloves and mittens. i particularly like the step-by-step pictorial instructions (helpful since my japanese is non-existent). the cashmere with its lovely muted blue, violet and green is aptly named “stormy sea” and is, as expected for cashmere, incredibly soft. 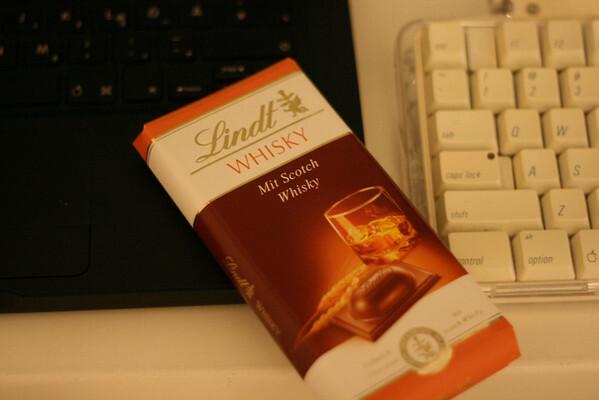 lastly on this list of luxury, i present to you, the scotch-filled chocolate. this is yet another reason i need to visit switzerland again soon, to be able to marvel at the incredible chocolate choices. for now i will rejoice in the fact that my local grocery store is temporarily carrying this scotch-filled confection. i hope your weekend is filled with your own luxuries, small or expansive, and that at least you are accorded the biggest luxury of all: some free time. This entry was posted	on Friday, October 26th, 2007 at 22:23	and is filed under food, knit. You can follow any responses to this entry through the RSS 2.0 feed. You can leave a response, or trackback from your own site.